Kitchen! Kitchen! 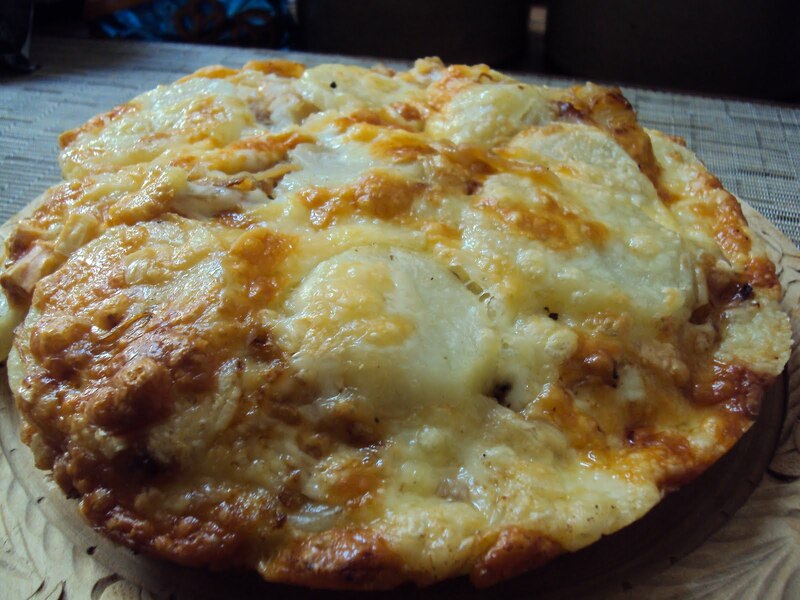 : potato cake...so cheesy......at kitchen! kitchen! A great side dish anytime. In the meantime - shred the Montasio cheese to get the 1-3/4 cups. When potatoes are cool enough to handle, sliced them into 1/4" thick. Melt the butter/olive oil combo in a non-stick, oven proof pan. Turn off the heat, arrange the potatoes,making them overlap a little in concentric circle until the entire pan is covered. Season with salt and pepper. Layer the carmelized onions on top of the potatoes, sprinkle evenly with the cheese and cook covered over moderate heat for 8 minutes until browned on the bottom. Preheat oven to broil, put the pan on the middle rack and brown the top for about 8 minutes or so until golden. Or if you are brave enough and oozing with confidence, flip the potato onto another pan and allow to brown on the stove top. Let cool and slice into wedges just like a pie. Great side dish!!! !.